Diaphragmatic or belly breathing, rather than just chest breathing, is the type of breathing that takes place with mindfulness when you’re relaxed and calm. You can see it in babies and young children when they breathe. Their bellies come out as they breathe in, and go back in when they breathe out. This belly breathing is caused by a deep, relaxed breath in which the diaphragm goes up and down, pushing the stomach in and out. When you practice diaphragmatic breathing, you nourish your body with greater levels of oxygen, and the breathing is easier for the body. Many people find it therapeutic, and it is emphasized in yoga too. Try taking a few belly breaths before you start your meditation to help lead you into a more focused state of mind. Loosen any tight clothing, especially around your waist. 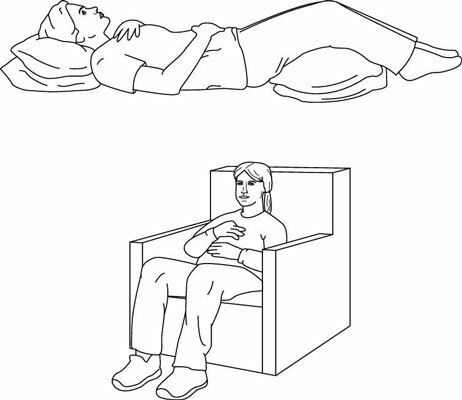 Get into a comfortable position, sitting or lying down. As you breathe in and out, allow the hand on your belly to gently rise up and down while keeping the hand on the chest relatively still. Diaphragmatic breathing may take some practice at first, but in time it becomes easy and natural. Practice as often as you want, and it soon becomes a healthy habit.